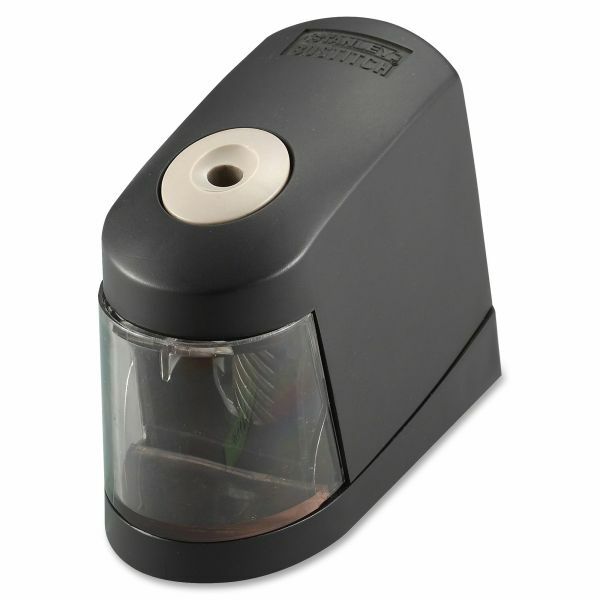 Battery-powered pencil sharpener offers a space-saving design and is ready wherever you are. Cutter life is four times longer than standard cutters with HHC technology. The powerful motor operates stall-free under normal use. Tip Saver Technology extends pencil life by preventing oversharpening. 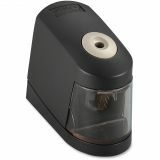 Bostitch Battery Powered Pencil Sharpener - Back To School! 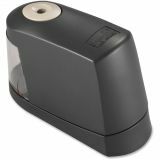 Simply powered by 4 AA batteries this sharpener can live at your desk or easily accompany you on travels with its handy portability. On the road, at home, or sitting at your desk you will get the most precise sharpened pencil with the equipped HHC™ cutter technology, which also has the added benefit of extending your cutter life by 4x. More impressively, the Tip Saver Technology produces a perfect pencil tip each time while avoiding the constant problem of over sharpening pencils, resulting in longer life pencils. 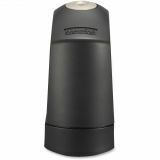 The shaving receptacle is not only easy to clean, but has a safety shutoff for safe cleaning. Safety switch prevents operation when the easy-to-clean shavings tray is removed. Sharpener runs on four AA batteries (not included).